View More In Cable Straps. 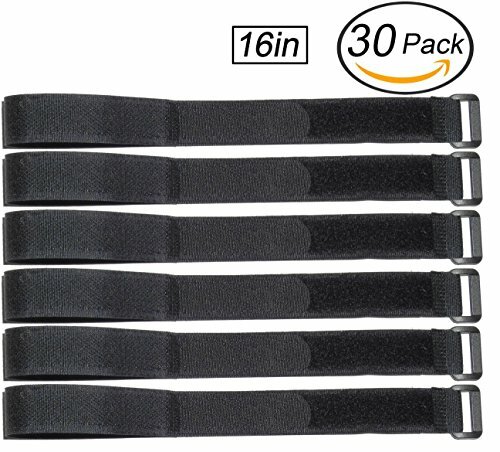 Our cable ties are made of high quality fabric material,they are reusable,durable,adjustable,reliability,stronger adhesive,longer lasting and more durable. If you want to end your cable mess nightmare and want to make your beautiful house into tidy,our cable ties are your right choice,because you need just simply wrap around our cable ties to your cords cable then they will keep all of your cords cables well organized and tidy in a place.They are perfect for organizing your cables under your desk, behind your media center,in your drawers,at home and in your office etc. 1.Multiple ties can be attached together to form one longer tie. 2.Fully adjustable along strap length.The cable ties are easy to remove or replace due to the self-adhesive design closure. 3.Our cable ties can quickly secure your cable runs for your audio/video equipment stack,computer desk or networking closet etc. 4.Can be used with all types of cables such as Speaker cables,TV cables,USB cables,Power cables,Computer cables,Cell Phone chargers,Audio cables etc. 5.Available for different sizes,allow for easy insertion and tightening of straps. 6.Eye hole design in the tail allowing the tie to be attached to a cable or hung from a hook. If you have any questions about this product by Ceeyali, contact us by completing and submitting the form below. If you are looking for a specif part number, please include it with your message.